Activities are designed to increase self awareness and address specific areas for personal growth and learning. The Youth At-Risk program is offered to youth from 5-21 who are referred to us by a number of sources such as the RCMP, Boys & Girls Club and the BC Children’s Ministry as well as other local sources in our community. The Youth At-Risk program is for troubled teens that have been in contact or at risk to be in contact with the law. Horses are easily amongst the most personable animals and most teenagers and young adults develop an instant connection towards them. Equine Therapy is gaining immense popularity as horses make even the most therapy resistant youth to react. Horses live in herds not unlike our human teens–therefore they help youth to better interact with others.Life skills development inessential in helping young people acquire the necessary skills that enable them to reach their fullest potential. At-risk youth especially,are in need of developing these skills. Our program offers them the opportunity to learn these skills through horses.Clients in this program who have trouble coping with the stresses of life and are more likely to abuse drugs and alcohol, engage in criminal activity, and attempt suicide etc.,will learn how to rebuild trust, find support, remove fear, become better leaders, learn be gentle and kind, make friendships, find courage, feel at peace, feel safe and feel loved. 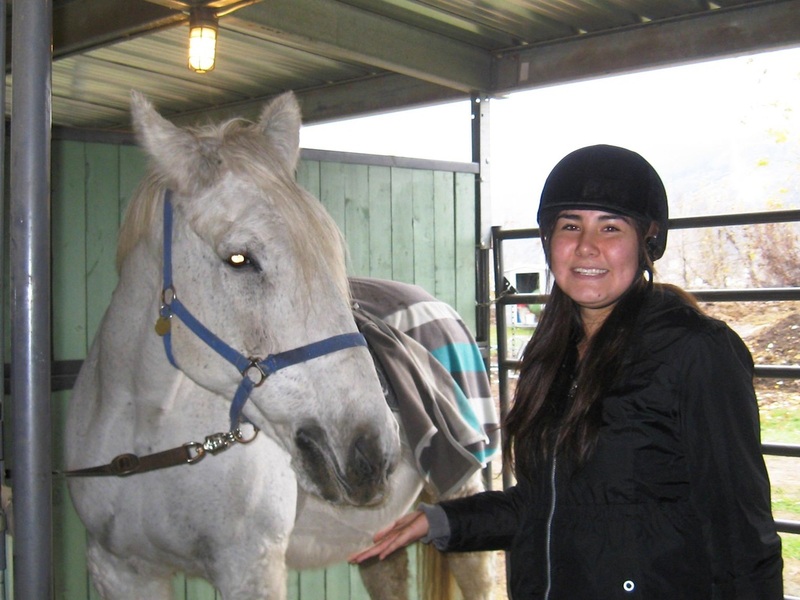 For these youth, the horse becomes a welcome addition to their lives as a new,non-judgmental friend. Due to the sensitivity of issues youth in this program are dealing with, lessons will only be a 60 min private weekly lesson where the youth learns care, maintenance and horsemanship skills. Youth will be paired with a horse they will be successful with and put into challenging situations purposely to learn how to overcome issues they are working on. ​ For example a youth that may be addicted to meth who’s systems are on high alert and easily excitable, would be paired with a horse just like that so they can realize they must be calm and quiet in order to calm down their horse. They realize what they have to do to change their behavior because they have to change the horse’s behavior. It is the horse that is showing them how they can change.